Home / Blog / Call for Action: Seoul National University, Stop animal research using “meat dog” farm dogs immediately! [Update: January 9, 2019] Click HERE to see the Seoul National University’s response. Korea Animal Rights Advocates (KARA) has uncovered animal abuse, mistreatment and exploitation of laboratory animals, and a gross breach of ethics in animal research at Seoul National University’s College of Veterinary Medicine. 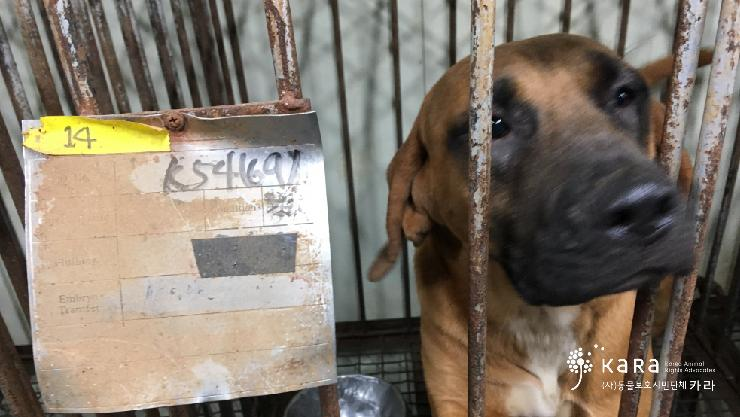 Dogs already living under inhumane and horrific conditions at dog meat farms were taken to the SNU College of Veterinary Medicine research laboratory where they were subjected to even further abuse. Under the guise of cloning dogs for special purpose use, 1,346 fertilized eggs were harvested and implanted in thousands of meat farm surrogate dogs under questionable conditions resulting in only 3 live births. Not only has the data based on this unscientific and unethical research has been distorted to reflect greater success, the dogs used in these callous experiments were sent back to the despicable dog farms to ultimately be slaughtered and eaten. The merciless treatment of these dogs simply cannot and should not be condoned or supported. Click HERE to learn more. Please sign petition, call, write and email the Seoul National University TODAY! Subject: Stop animal research using “meat dog” farm dogs immediately! We were appalled to learn, from a Korea Animal Rights Advocates’ (KARA) report, that your University, which is considered one of the most prestigious in South Korea, is condoning animal abuse and mistreatment by allowing experimentation on dogs that have been bought from meat farms. These animals have already endured terrible suffering, through being raised in horrific and inhumane conditions, but your University’s College of Veterinary Medicine thinks nothing of adding to this travesty by inflicting further suffering on the cheaply bought dogs, for callous cloning experiments. We understand that 1,346 fertilized eggs were harvested and implanted in thousands of meat farm surrogate dogs, under questionable conditions. The poor success rate, or rather failure, of this unethical research was then distorted to reflect a more impressive result (than the 3 live births). On top of that, having no further use for these dogs, your colleagues chose to dispose of them by returning them to the dog farms – to be slaughtered and eaten. 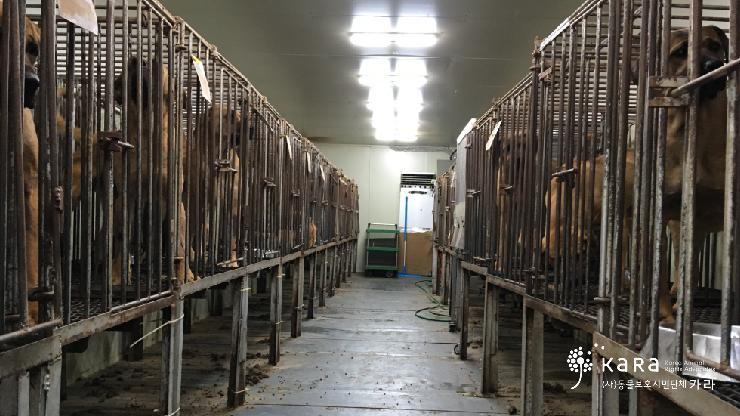 President Sung, this sort of research, and mistreatment of animals, is unjustifiable in any establishment, but unthinkable in a place of learning and (ethical) advancement: animal cruelty has no place in a modern, prosperous and educated society. Also, to please read the following, from the press conference with KARA: https://ekara.org/activity/against/read/9456. • Stop animal research using “meat dog” farm dogs immediately! • Ensure that all members of the Seoul National University’s Animal Experimental Ethics Committee resign, for knowingly approving the use of animals from an unauthorized research animal supplier! • Seoul National University must also thoroughly investigate those researchers responsible, and set up measures to prevent recurrence! • Seoul National University should fully disclose its history of experimentation on dogs from dog meat farms! • The Rural Development Administration and the National Institute of Animal Science must disclose information on the unethical reality behind the special-purpose dog cloning project! • 계속되고 있는 ‘식용’ 개농장 동물실험을 즉각 중단하라! • 무등록기관 실험동물 공급임을 알면서 연구 승인한 서울대실험동물윤리위원회는 전원 사퇴하라! • 서울대학교는 연구 책임자 엄중 문책하고 재발방지 대책을 세우라! • 서울대학교는 ‘식용’ 개농장 동물실험 내역을 낱낱이 공개하라! • 농촌진흥청과 국립축산과학원은 비윤리적 실체 드러난 특수목적견 복제 사업의 정보를 공개하라! I am OUTRAGED Shame on Korean Government shame on everyone Involved in such CRIMES We demand criminal sentence and will promote Universal boycott !!!! What are these for people who do this against innocent animals, terrible, pray for the animals so it will stop anywhere where there is ..
No more cruelty, its terrible that humans can do this to a living creature and with the support of the government,this has to stop now, we need to evolve into a more compassionate race. Korea – the land of animal cruelty! What sort of barbaric people are you??? How dare you torture animals like this, you are supposed to be a Veterinary Medicine University where you heal animals not torture them!!! You sick ugly people!!! You should be in the cages, not the dogs! PUT YOURSELF IN THEIR PAWS!!!!! ALLE Asiaten sind Teufel…..wenn sie Tiere nicht zu tode quälen können sind sie nicht glücklich…..sollen ihre Kinder fressen….. lebend kochen…u.s.w. von denen gibt es ja genug und dies ist meine Meinung und Meinungsfreiheit ist ein Menschenrecht!!!!! The people who can do these barbaric acts to innocent dogs & cats, any animal are monsters. They would probably torture their own family as they have no morals. This needs to end now. The government need to show the rest of the world they are doing something to stop this treatment of animals. People who commit these crimes should be imprisoned. No decent human would ever be so evil to the best friend anybody could ever have ! If you want to be part of the civilized world and be respected by other technologically advanced nations, don’t commit these acts of barbaric cruelty against man’s best friend. Throughout most of the civilized, technologically advanced world, dogs are our companions and members of the family. Other nations look down on South Korea for allowing this to go on and think that South Koreans are sadistic, cruel, and unfeeling because of this, and we know that is not true. Most South Koreans are good people, and many of them are dog lovers and pet owners themselves. Many South Koreans have compassion for animals. The animal abusers need to stop this sadistic treatment of animals the rest of the civilized world reveres as beloved pets if they ever want their country to gain any respect on the World Stage. Thank you Poverty and ignorance are NO excuse for such evil, torturous practices. We do not want to be indifferent and close our eyes to, ever greater, cruelty and ruthlessness of the human nature … We want to live in a world where everybody invokes justice and dignity where stronger ones can protect the weaker ones or those who can not defend themselves. Animals are, alike human beings, living creatures capable of feeling pain, fear, sadness … They create bonds between themselves (mother-young) and feel their loss caused by man. They have the ability to learn and remember, even empathy, some seem to be dreams, others have learned to communicate with us with sign language … We are all equal and we are all in this world as mere guests, no one has the right to rise above others, not to devastate, destroy and participate in the extinction of other species! That’s why we all deserve respect, the right to our own lives, the right to preservation of dignity, protection and love!